For the last two filing seasons, taxpayers had a couple of “extra” days to file their tax returns. For the 2016 filing season, “Tax Day” and Washington D.C.’s Emancipation Day holiday were on the same weekend, pushing the filing deadline to Tuesday, April 18th. Ironically, the 2017 filing season was similar, also pushing the filing deadline to a Tuesday on April 17th. For the 2018 tax filing season, it’s back to “normal” with the tax filing deadline falling on the Internal Revenue Service’s ole’ faithful, April 15th, 2019. The Internal Revenue Service (IRS) began accepting tax returns on January 28th, and statistically, over 49 million taxpayers have already filed their returns equaling over $121 billion dollars in refunds. With the deadline slightly longer than a month away, millions more Americans will be rushing to complete their tax returns. Before gearing up for a deadline rush, taking one last look may ensure everything is ready to submit. For starters, the IRS website is an ideal source for tax return insight. There is no waiting line for service at https://www.irs.gov/ and the website offers a wealth of tax tools, FAQ’s, and tutorial podcasts available and easy to use to help prepare your return. Additionally, the Interactive Tax Assistant Tool (ITA) https://www.irs.gov/help/ita provides answers to a variety of tax law questions. The ITA can help with what income is taxable, if credits are available, and help with general questions such as “what is my filing status”? Each webpage of the IRS website offers a search feature for specific questions or taxpayers may opt to review the IRS Tax Tips https://www.irs.gov/newsroom/irs-tax-tips for more comprehensive topics. Filing electronically is another resource that almost all taxpayers should be using. Whether you file your own taxes or prefer to use a professional tax preparer, IRS e-file is the safest, easiest method to electronically file a complete and accurate return. 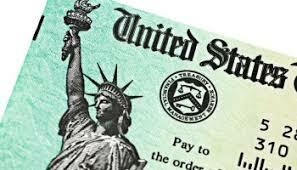 There are four electronic filing options for the majority of tax payer audiences https://www.irs.gov/filing/e-file-options and for filers getting a refund, direct deposit is the most efficient way to get the money owed to you back into your bank account. Direct deposit is easy to use with nearly 8 out of 10 taxpayers getting their refund with this method. Whether you file a paper return or electronically, direct deposit with give you access to your refund faster than a paper check. What if you owe? Make sure all tax deductions and credits have been accounted for by going through each filing step before submitting the final return. Double check all eligible tax credits and subtract anything missing to lower your tax liability. If you own a home, is the mortgage interest deducted? How about Earned Income Tax Credit (EITC)? Although primarily designed for lower income families, qualifying for EITC may be a big financial bonus on refundable credits. For households with children, the Child Tax Credit allows you to deduct $1,000 dollars for each eligible child under the age of 17. 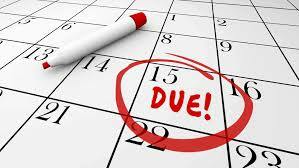 If you still owe, file by the deadline anyway…even if you can’t pay the entire tax bill. The IRS is savvy, and it won’t take them long to figure out that not only are you behind on your tax payment, but they will also issue a failure to file penalty for filing late. Our experienced staff are ready to lend a hand to you and your business.